Please Note: Adjuster for left foot missing!! 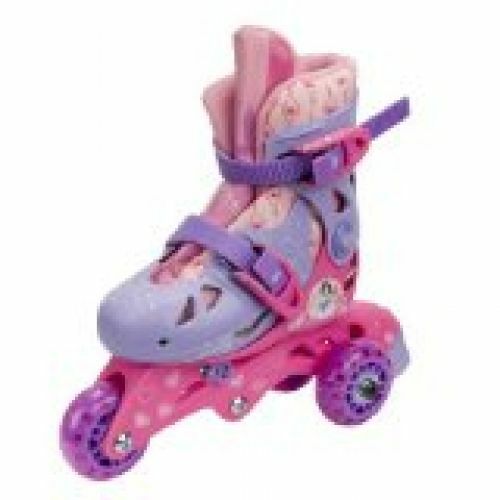 Our Disney Princess 2 in 1 Convertible skate converts from a beginner's trike skate to a more advanced inline skate. Our design is safe, stable and adjusts from size J6-J9. This skate is great for ages 3-6 years old. Great Disney graphics!